We can help you find the naval fiction books you are looking for. As the world's largest independent marketplace for new, used and rare books, you always get the best in service and value when you buy from Biblio.com, and all of your purchases are backed by our return guarantee. Douglas Reeman (Alexander Kent) did convoy duty in the Atlantic, the Arctic and the North Sea. He has written over thirty novels under his own name and more than twenty bestselling historical novels featuring Richard Bolitho under the pseudonym Alexander Kent. Sharpe's Prey is the 2001 historical novel by Bernard Cornwell set during the Napoleonic Wars . 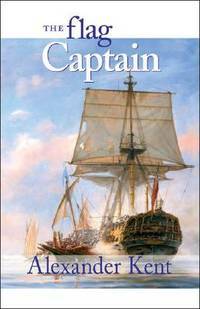 This book tells the story of Ensign Richard Sharpe, who is sent to Copenhagen in 1807 with the job of protecting a nobleman on an important, but secret, mission. Sharpe soon discovers that his task is not as simple as it seemed and that he must overcome traitors, spies and the bombardment of Copenhagen. London and Edinburgh: Pan Books, 1970. Remarkable condition with mild tanning pages and very scarce in this condition and appears unread! The First World War- On a rocky, desolate island in the Pacific, a young seaman defies alone the might of a German cruiser and eventually signs the death warrant for its eventual destruction...a strange destiny links both these events...a moving story of passion...bravery...and strange irony.... Mass Market Paperback. Fine/No Jacket. Naval Fiction. UK: New English Library, 1975. PBO. creased. 1cm spine split. binding tight. . First Edition. Mass Market Paperback. Good. 12mo - over 6�" - 7�" tall. New English Library Ltd, 1972 Some wear, binding sound; good overall.. Paperback. Good. Book. New York: Pinnacle Books. Very Good-. 1974. Paperback. 0523004001 . 151 pp. Edgewear, corners rubbed. Prev owner's address label on title page. Frustrated at hope of promotion to a high post Fox decides to become a pirate. Number 6 in the series. ; 12mo 7" - 7½" tall . Canada: Pinnacle, 1975. Square and solid with light wear on the covers.. 1st Printing. Mass Market Paperback. Very Good. New York: Vantage Press, 1985. This is a collection of essays. These stories prove to be lively and entertaining from a writer whose life is rich in experience!. Hard Cover. Near Fine/Very Good. General Fiction. British: New English Library, 1975. Solid with a crease on the spine, color fading on the spine, and the covers show light wear.. 1st Printing. Mass Market Paperback. Good- Very Good. Pinnacle Books. Very Good-. 1974. First Edition. Paperback. 0523003412 . Pages toning, slight toning to spine and edges of covers, very tiny chip to corner of first 3 pages, little bit of light soiling to top page ends; 150 pages .